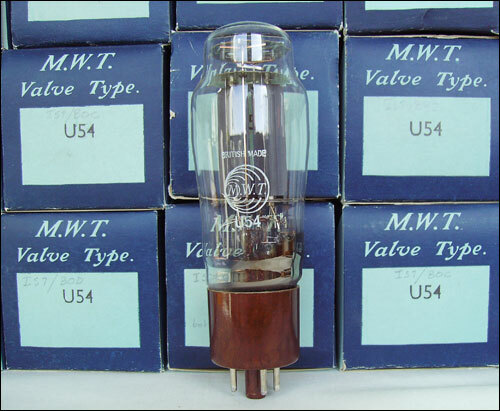 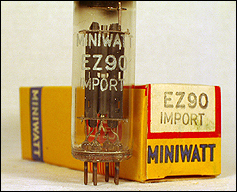 full-wave rectifier tube. 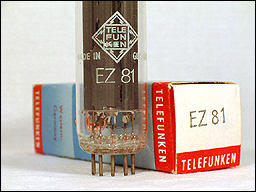 Tubes have bottom D-shaped rectangular getter, grey plates and light brown base. 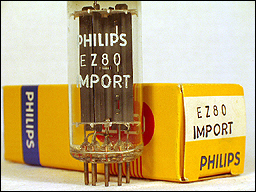 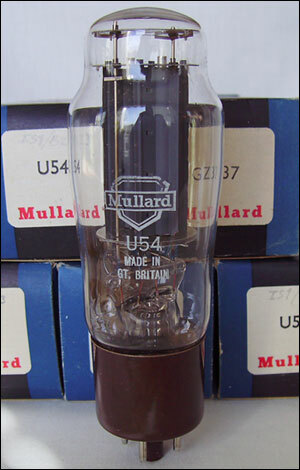 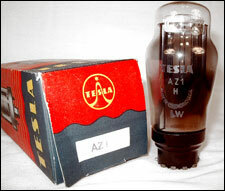 In stock tubes made in 1959, 1960 and 1962. 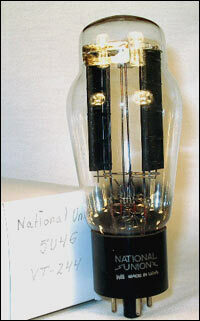 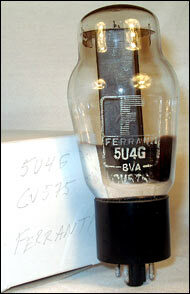 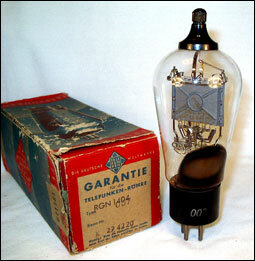 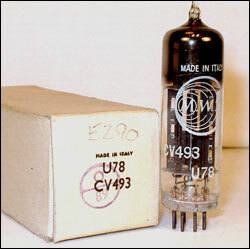 U54/GZ37 rectifier. 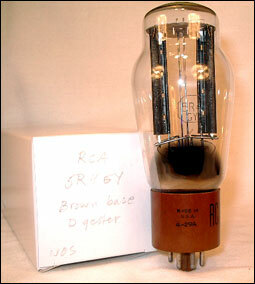 Grey plates, brown base with bottom O-getter. 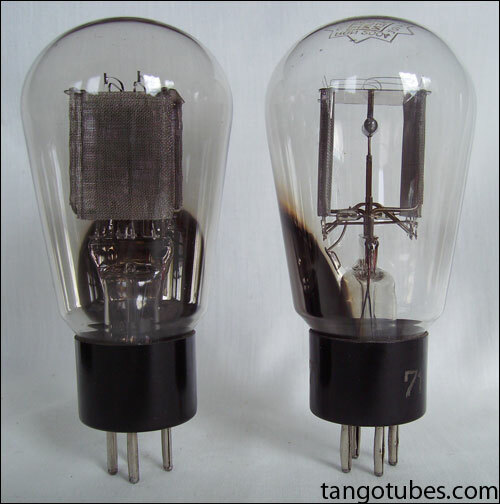 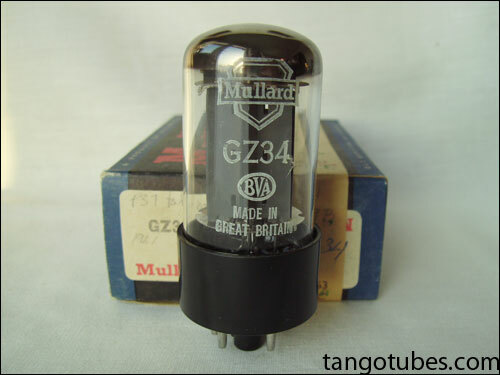 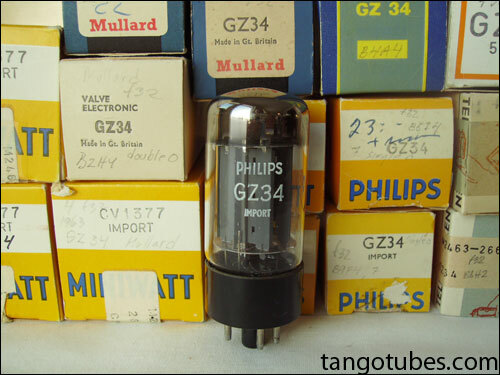 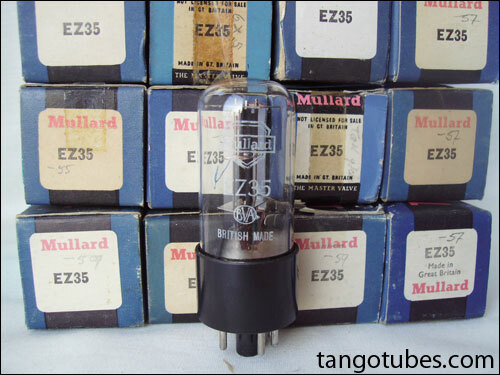 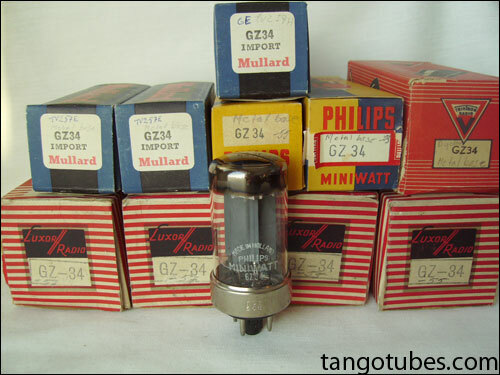 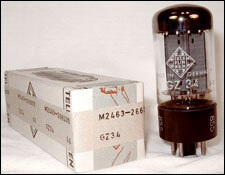 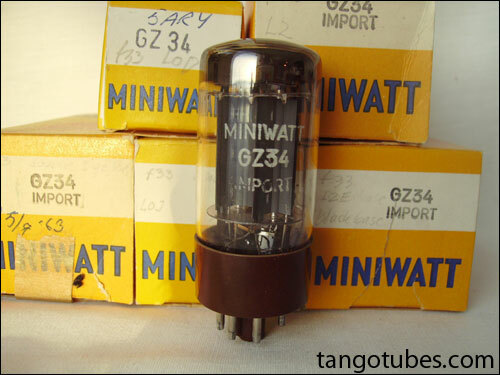 Beatifully, gray plated, english made GZ32 rectifier tubes from the fifties, with bottom rectangular getter. 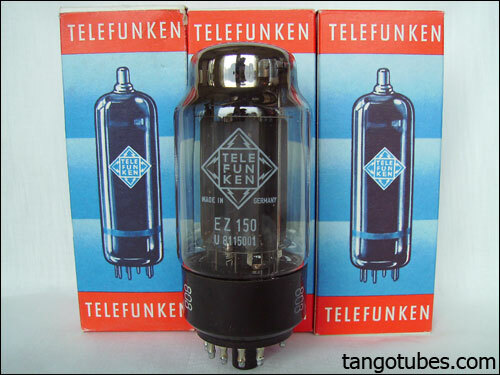 3 pieces in swedish military boxes and one in original box. 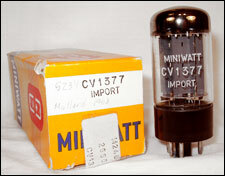 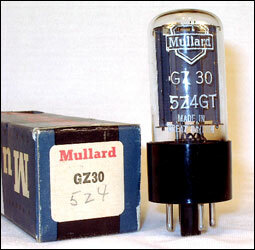 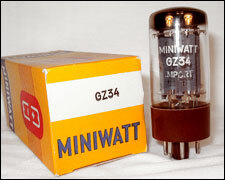 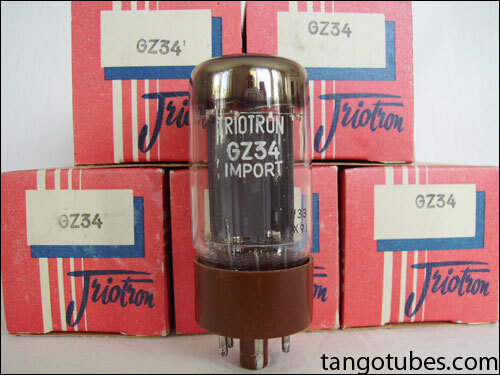 Only 4 in stock so grab them if you want a really good rectifier tube for you original Quad II amps. 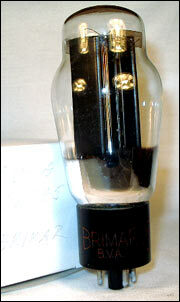 These Brimar (acronym for BRItish Made American Range ) full wave rectifier is like the GZ34/5AR4 indirectly heated. 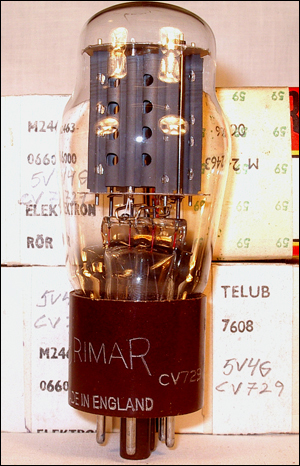 RMS input per anode is max. 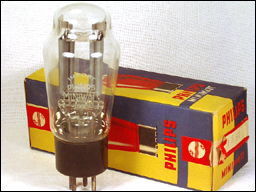 350 V. with a rectified current of max 125 ma. 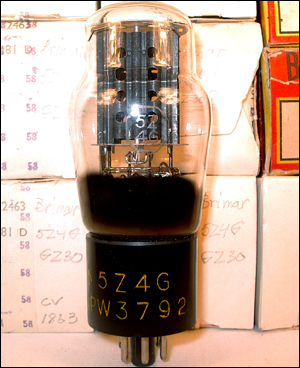 Bottom D-shaped solid getter and black anodes. 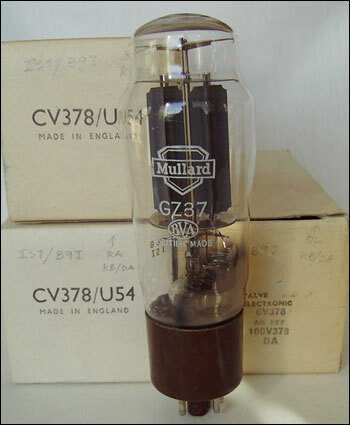 Different looking anode structure with eight holes on each anode. 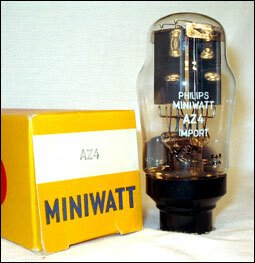 Manufactured in the early fifties. 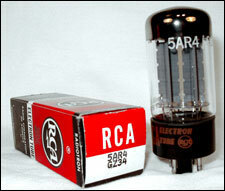 10 in stock of this wellbuilt and good sounding rectifier.